Summary : The pizza at Davanza's isn't that great, but the fratty scene and beer can decorations are cool... if that's your thing. THE BACK STORY: I recently spent a week in Park City, Utah during what happened to be the least snowy January they’ve ever experienced. Less skiing meant more pizza. Research indicated that there were two places worth checking out: Davanza’s (690 Park Avenue) and Maxwell’s (1456 New Park Blvd). Davanza’s is located in downtown Park City, just off Main Street — so pretty accessible. Unfortunately, it’s not worth the trip. Although the place is cleverly designed with beer bottles, not much else stands out. According to their website, they “feature pizzas, tacos, burgers and more” — a sign of what to expect as far as the quality of each. When I asked the folks at the front desk of the hotel I was staying about which place was better, they showed a clear preference for Maxwell’s. Davanza’s, they said, was gross. 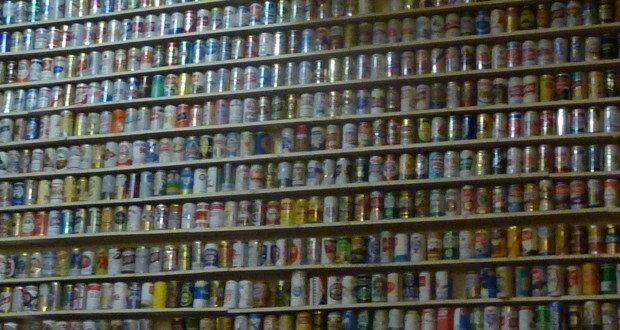 I DREAM OF… Living in a place decorated by beer cans. The atmosphere overshadowed the pizza itself. I preferred the cheese pizza over pies with topping, but it was worse that your average corner slice shop in NYC.